However, this leads to problem two – the ‘death’ of Cyclops. Because of all the behind the scenes drama with Singer and Marsden, they decided to do the unthinkable and write Scott out of the script and then go ahead and do a Dark Phoenix storyline without him. Because of this, they made Logan the defacto ‘leader’ of the X-Men, and that just doesn’t work. We wound up getting Cyclops-esque lines from Logan, which was a mistake. 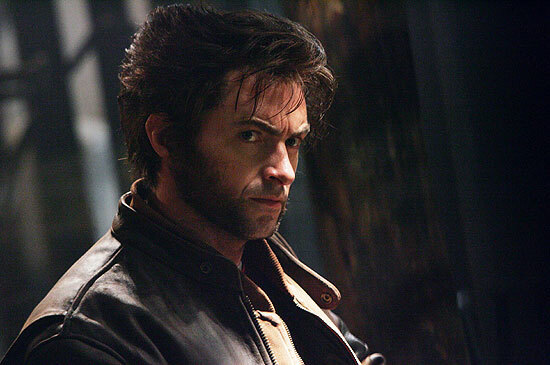 Logan’s a loner and an outsider who’s practical minded and does what needs to be done without giving speeches. Without Cyclops, somebody had to do that in the movie, and they made it Logan. It didn’t work. The other major, major problem was the length of the movie. It should have been longer given what they were trying to do with that many characters. It moved at such a break neck pace that you never got the chance to really feel any of the weightier moments of the movie. Scott’s death was only mentioned by Wolverine. Charles death was a big moment in the movie and they blazed right on, although he at least got a funeral. Rogue was the only specific one in the movie who took the ‘cure’ willingly, and they just rushed right through it. That should have been a major character changing moment of impact and we never get to really witness it and what the character is going through to make that big a decision. And when Logan has to kill Jean at the end, you don’t get any lingering shots of him after the fact. He should have been stricken with grief after doing what he had to do, and we never got to see that. One moment he’s killing Jean, then he’s on his knees holding her yelling “Nooo!”, and the next time we see him he’s sauntering out onto the mansion deck like all is well with the world. A Major character disconnect there all because of the running time. The big emotional moments of the movie should be dealt with and we should see how the characters handle it. Singer was good at showing that in X1 and X2, even when it was just a facial expression, and this is where Ratner dropped the ball. Now, I did say I liked the movie, so I should say why. 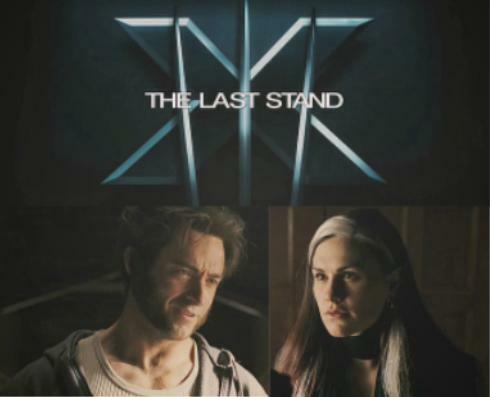 Up until the end, Logan’s character was pretty much right on track. As a fan of the comics, seeing the fastball special was great, and his lines in the danger room sequence were spot on. The brawl at Jean Grey’s house with Juggernaut was cool to watch too. They also got the character right here as well. Jean and Charles were in an epic battle of the minds causing physical chaos all around. Pretty much everyone was out of the fight as Jean’s powers exploded around them all. Except for Logan. In the comics, his willpower is unmatched – no matter the pain, no matter the fight, he will not quit. They showed this well as he continued to fight against it all and clawed his way across the ceiling and through the storm to try to get to the Professor and Jean and do something. He didn’t make it in time, but he would never quit trying. I loved that moment in the movie, and that willpower was shown again at the end as he went against Jean / Phoenix. His skin was getting burned off his metal laced bones and he would not quit. It’s great to have a healing factor, but that’s still gotta hurt. His fight through the forest to get to Jean was also cool to watch. Those moments the Wolverine fan in me was smiling. Now, if you’ve seen the banner I made at the bottom of the blog, you’ll know what internet fan community camp I’m in ;-) I knew they would never play that angle with the Logan and Rogue characters, and I was surprisingly fine with the Logan / Jean angle they went with, as I am also a fan of the comics and understand that was the only way they could go with it. However, I think someone was paying attention to the internet fandoms and threw something in the movie just for the L/R shippers out there, and it was a cool moment. When Rogue is leaving to take the cure, Logan stops her and they talk. He offers to give her a lift (and calls her kid, like in X1 :-), but when she asks him why he isn’t telling her not to go, he gives his support as a friend and tells her to make sure its her decision and that its something she wants to do for her, and not anybody else. Then they threw in a moment for the fans. He turns to go and calls her Rogue, but she stops him by saying “Marie.” Which he does – he calls her Marie before she leaves. This is a really nice nod to the L/R fans (I’m guessing – as it’s a really big point in a lot of the fan fiction) and a nod back to the first movie as well. In that truck ride at the beginning of X1 when they first meet, she tells him her real name, and I think he’s the only one to call her by that. To see them put that in there specifically was a really nice touch. Kudos for that. All in all, this was a good movie and a really fun movie to watch. The sad part is that with a bit more time and care, it could have been a great movie. They had the plot points to really say something with the ‘cure’ angle, but washed over it with the action fest instead. I did like it, however, and thought it was more linear than X2. It just really needed to be longer to show the impact of the emotional scenes. Comments on "X-Men 3: The Last Stand - Review"
The cure apparently changes the powers of the injected mutant. For instance Magneto can now move plastic objects. Thanks for dropping by, Synonymous. Yeah, the person I was with leaned over and said "Um, aren't most chess pieces are plastic?" I'm not sure if those pieces were metal or plastic. If it's plastic power now, what are they going to call him? And what does that mean for Mystique and Rogue?